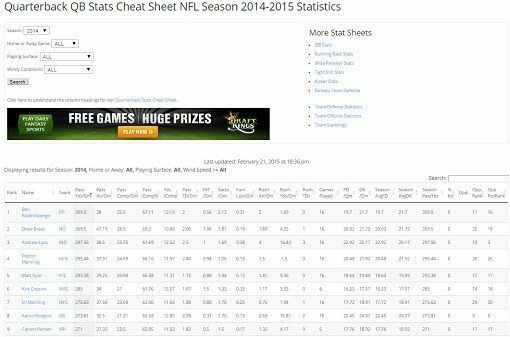 Our fantasy football cheat sheets allow you to sort and filter across all the critical data points! 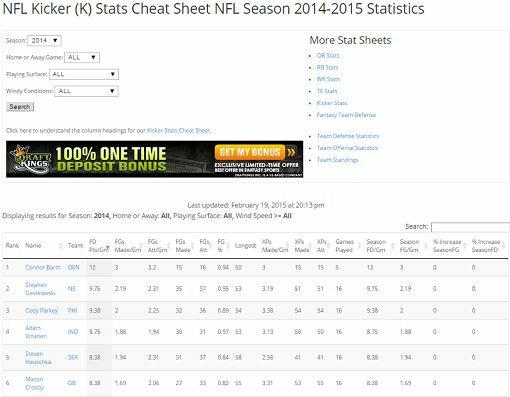 All of our cheat sheets can be sorted by any of the column headings to customize your player rankings. The Rank column will always be static so you can quickly and easily locate your top 10 players or teams by your sort order. These advanced Cheat Sheets all offer filterable fields to limit the data and provide averages on the filter data set. Suggestions – take note of the % Inc column, you may find that certain QB’s have increased (or decreased) Passing Yards Per Game when playing at home or away, or in a dome vs outdoors. Suggestions – Running backs that are also targeted receivers have big upside! The number of carries and the number of times targeted as a receiver are all opportunities for more yards. Suggestions – take note of the Rec Targets/Gm – as long as your player is getting enough targets, the receptions will come. Also, check the % Inc RecYdsGm to find beneficial conditions for your receiving targets. Suggestions – Captian Obvious says kickers do better indoors and not in windy conditions! Season FPS/Gm – Season average of Fantasy Points earned per game (does not change when applying filters). Seasn Pts/Alwd – Season average of scored points allowed per game (does not change when applying filters). 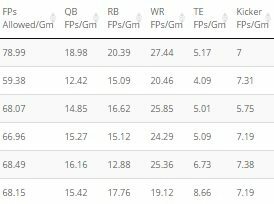 %Inc FPs – Percent increase over season average of Fantasy Points earned when applying filters. %Inc Pts/Alwd – Percent increase over the season average of scored points allowed when applying filters. 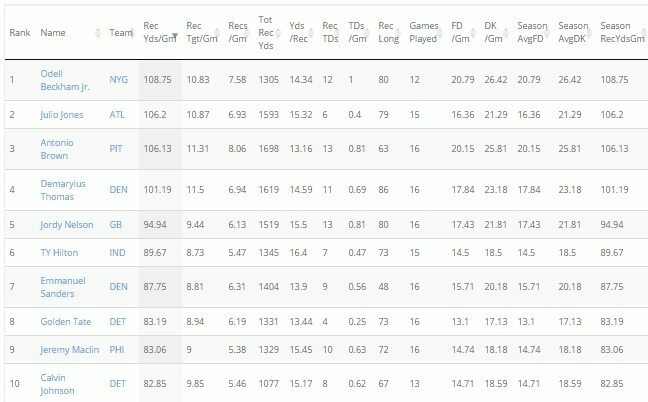 Suggestions – check out the Fantasy Points allowed per position. Some defenses are bad at stopping the run, and even worse at the passing game. Bet on the NFL at Bovada Sports! Redeem one of these Bovada promo codes and receive free bets.